No beating around the bush here. No fancy intro where I tell you about my weekend or provide some analogy about how marketing automation is like a sandbox or something. Nope. Just 27 kickass growth hacking tools with a complete breakdown of why we like each one and how much they cost. I want to give you exactly the information you need, and none of the fluff you don't. Note: I'm not an affiliate for any of the tools you see below. These are just the tools or growth hacking platforms which Wishpond uses (or has used) that we think are awesome and recommend to you. Mailchimp's simple and free email platform is the go-to tool for more than 10 million marketers. The platform's users send more than 600 million emails a day, and you can see why. Mailchimp's simple automation, segmentation and targeting are enough for many entry-level growth hackers. The report function is also helpful in optimizing your email marketing campaigns over time. Aweber offers a bit more than Mailchimp in a few places, primarily a stronger automated email functionality (including auto-responder follow-up) and better sign up forms. I've also found their campaign function to be more intuitive if you're looking to combine email marketing with a lead generation campaign (for instance). If Aweber offers a bit more power than Mailchimp, Emma offers a bit more than Aweber. Emma actually gets us into a bit of the more developer-friendly email platforms (so stop at Aweber if you're just starting out). Emma makes it easy to automate email campaigns, segment based on data stored inside of a integrated CRM, and heavy personalization using dynamic content (very cool). One step up from Emma is Customer.io, which is a very developer-friendly platform (in as much as it's almost difficult to use if you don't have a developer handy). This is actually the platform Wishpond used before we started using our own email tool. Customer.io has a great user profile functionality (allowing you to see individual actions of individual contacts). It's very HTML-friendly and very integration-friendly, meaning "you can start sending emails based on what people do or don't do after they log in to your software/website." Buffer has been Wishpond's go-to social media platform for years now, and they're the most solid tool we've seen in a very competitive market. Buffer enables you to collate your social profiles into one place which means you can share the same piece of content quickly and easily across all of them. Their analytics dashboard (if you upgrade to "Awesome or go with a Business plan) is also extremely detailed and helpful. Pablo (from Buffer) is my favorite recent social post creator tool. The platform is super intuitive, and, while perhaps not quite as powerful as other similar tools, helps you design and share images quickly. So RebelMouse is primarily cool because it does what a lot of content curation/aggregation tools do, simply and powerfully. It's also integrated a straightforward CMS element which is really strong. I also like that it has a great mobile app which makes it easy to access and share curated (and original) content on the fly. Contact the RebelMouse team for pricing (not available on their site). Nuzzel is a really cool (though largely unknown) content curation tool which is focused on the content most interesting to your social network. It aggregates stories, articles and images from your social media followers and then filters by the most popular content or whichever was shared most recently. Nuzzel is great, particularly on Twitter, because it enables you to follow stories and get valuable insight into what content your Followers like - giving you more confidence to create content similar to it. Postplanner, beyond the somewhat straightforward social media management of Buffer (and Hootsuite, for that matter), offers a very helpful content curation element. Postplanner makes it easy to consolidate your own profiles as well as every social profile related to your business, allowing you to see (and share and schedule) the most interesting content your audience might find interesting. What am I gonna do? Pretend we don't have a marketing automation platform? Marketing automation is the #1 most cost-effective tool for professional marketers with a bit of budget, and it's far simpler than it was even a year ago. Automate email nurturing campaigns which turn generated leads into qualified sales prospects. Automate the sales process with lead scoring, customer relationship tracking and workflows as complicated or simple as you like. Retain customers through automated loyalty campaigns and easy segmentation. 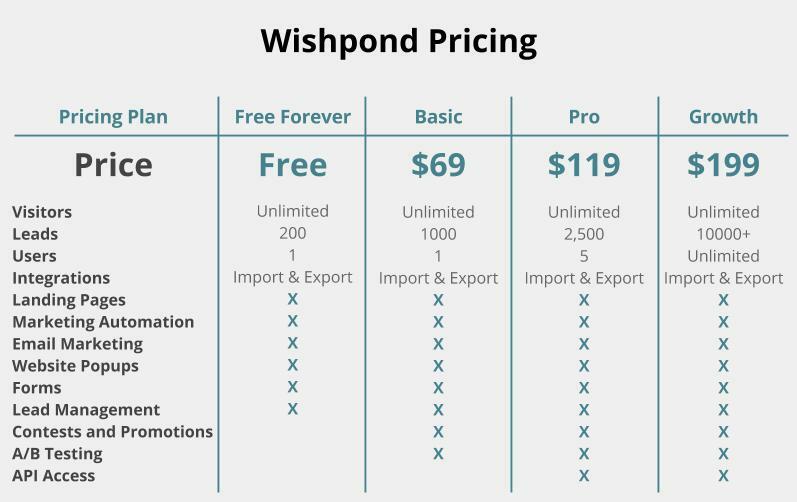 Wishpond is also integrated with many of the awesome tools in this article. See our Integrations Page for the complete list. Eye Dropper and the next tool, Nimbus Screenshot, are my most-frequently used plugins. Eye Dropper enables you to pick any color off of a webpage, providing you with the hex code, rgb, hsl and official name of that color. It also stores your recently "dropped" colors for as long as you ask it too. This makes it super easy to keep your brand's hexcodes around for easy access, or steal a color you like from someone else's site. Growth hackers take a lot of screenshots - the constant messiness of my desktop can attest to that. So we need a good screenshot tool, and of course the one built into my Mac or your PC isn't going to cut it. You need to capture part of a page, scroll and capture, easily capture one element, edit, and save as whatever file type you like. Nimbus gives you all that and more. SEOQuake has replaced both my Alexa plugin and my PageRank plugin, as it does both. It also has the added benefit of highlighting nofollow links (if I tell it to), display keyword densities and compare one site's search optimization to that of another. SEOQuake is my go-to plugin for SEO. While I don't look at Ghostery every single day, I like to have it watching my back. The plugin allows me to see any and all trackers, pixels, bugs and beacons that are on the webpages I visit. This informs my own growth hacking strategies, as in "what is my competitor doing with tracking and remarketing that I'm not?" I also like that Ghostery allows me to choose how and when I want to be tracked. As they say "a personalized digital experience is great, but shouldn’t you be in control of who’s tracking you?" LastPass stores passwords for you. So long as you remember your "master password" all the others are securely stored in the plugin. Initially this was a bit scary for me, but they have extensive security systems in place and are constantly helping me ensure my passwords are secure. Another cool element of LastPass is that it allows you to share passwords with colleagues securely. There's no point in all 40 of us having a different account for our analytics platform (especially as we all want to see the same reports and funnels), so using only a few accounts and sharing the passwords securely is super helpful. Sniply's one of those plugins that I don't yet use but really want to try. It allows you to send people to your site or blog via content you share on social media. Owned Content. Sharing your own blog posts? Easily attach call-to-actions on screen without making changes to the page itself. Earned Media. Got featured in a publication? Share the link with your call-to-action so that readers can engage with your brand. Curated Links. Promoting someone else's content? Get recognized for your referral by including a message for your followers. They also have an A/B testing function which makes it simple to split test your CTAs. PushBullet has largely replaced EverNote for me (though I still have lasting affection for Evernote). PushBullet is a bit simpler - allowing me to send text messages to friends directly from my computer and easily send links and files to my devices and those of my contacts. Essentially, I use Google Drive sharing for interoffice files and PushBullet for interoffice and external link sharing. One of our most recent software adoptions, our sales team is raving about Pipedrive this month. Pipedrive does the standard Sales CRM stuff very well. They have the visual sales pipeline , lead organization (including filters), sales forecasting and a solid mobile app. But more than that they're super intuitive and super easy to set up. Once you've done the initial setup though though, customization (including turning off features) is easy as well. A little bit up the pricing scale from Pipedrive, Base has the number-one mobile sales app - enabling you to keep up with your leads, funnels and reporting on the go, They also have a great reporting tool and extensive integration possibilities. Insightly is a great starter sales CRM tool. It has a heavy incorporation of email (including pretty good templates) and 250MB of data storage in the free plan. You'll also get Dropbox and Quickbooks integrations, which are pretty cool if you use those platforms. Zapier is the answer to "But your software isn't integrated to the platform I currently use! How can I make this work?" Zapier is currently integrated with more than 500 software providers. If you integrate with it, you get access to all 500. Send a direct message when a lead visits a web page multiple times. Send emails from Gmail when someone converts on your Wishpond landing page, popup, form, or contest. Add new Stripe customers to a customer list in Wishpond. To learn more about Zapier and how it works, check out my colleague's article [Feature Release]: The Last Integration You’ll Ever Need. Our COO loves Segment like he loves his child, I swear. It's interesting, actually. Data, which most of us think of as one of the most boring subjects out there, often inspires the most passion. Segment gives you data - complete, comprehensive website data in one place and with minimal fuss. And, of course, data is a massive part of growth hacking. Unless you know what you're currently doing and how, you can't possibly know how to hack it. Once you have your initial growth hacking strategies set up (using the other 26 tools in this list), come back to Segment and start talking data. SurveyMonkey makes it easy to get incredibly valuable insight from your contacts, leads and merchants. Their survey tool embeds easily into email clients and makes responding not just easy, but appealing. More recently, however, SurveyMonkey has launched their "Audience" feature, which gives your company access to a huge number of willing survey recipients who aren't your customers. You can create a custom audience (similar to Facebook Ads) so you can be sure you're reaching people similar to your prospective customers. This gives you an understanding of your audience, and is a great strategy before launching any large update, new software or even a new growth hacking strategy. GoToWebinar is the chief webinar tool out there, and for good reason. 1. You want your webinar to run without technological issues. And this can't just be the webinar itself. You need the emails, pages and links to work during the registration, attendance and post-webinar periods as well. Luckily, GoToWebinar is really good about integrating with other platforms (they were one of Wishpond's first integrations when we launched our landing page and marketing automation tools). 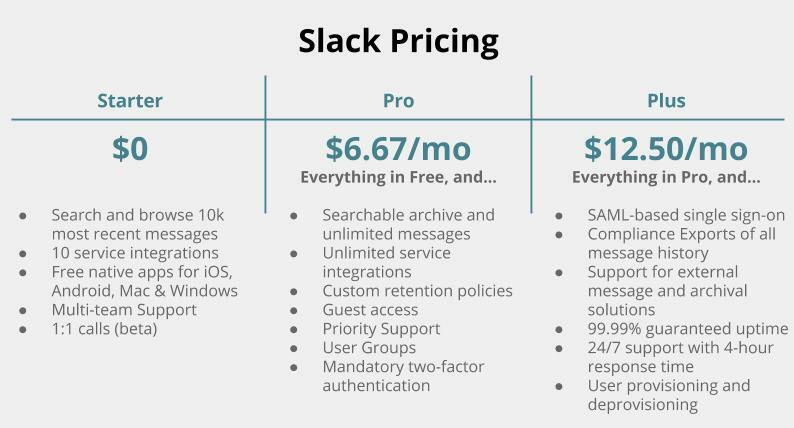 Slack is one of those companies you love to love. Their inter-office communication platform is always an open tab in my desktop and allows me to share files and images with individuals and groups easily. Of course it's primarily a chat tool, and it's great for that as well. No more yelling across your open-plan office or emailing a single line to your colleague. It's also a fantastic company if you're looking to develop your own brand "vibe," as they're a model of that casual excellence so many software companies are looking to cultivate. AdobeStock (along with Shutterstock) is our graphic design team's go-to image library. Every one of their 45 million royalty-free images and videos can be accessed and managed from within the entire Adobe Suite (that's Photoshop, Illustrator, InDesign etc). When you're talking about image libraries the primary thing you're looking for is breadth of selection and quality. AdobeStock is fantastic in those areas and is priced about average. BuzzSumo is one of the chief content marketing tools the Wishpond Blog puts to use. It's a huge part of our strategy for discovering content opportunities, identifying influencers and quickly responding to alerts in our sector or around our brand. Perhaps most frequently I use it to run reports on how a competitor's article did on social media. I can see number of social shares, who shared it, who linked it, and more. Hopefully this list will help you save time and find success with online marketing. If you have any questions about any of the tools or platforms you see above, don't hesitate to reach out in the comment section below!